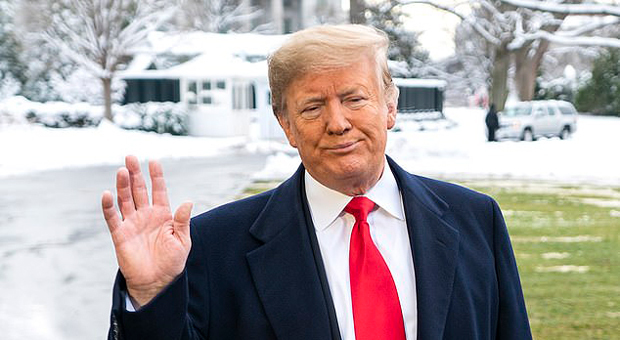 President Donald Trump has responded accusations from Alexandria Ocasio-Cortez that he is a 'racist' sating he is not paying attention to the 29-year-old Democrat's pot-shots. A reporter quizzed Trump on his vocal poltical opponents. 'Congresswoman Ocasio-Cortez called you a racist,' the journalist asked. 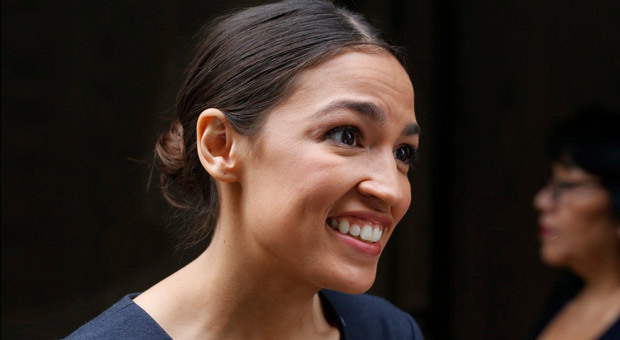 'Congresswoman Ocasio-Cortez,' came the answer. 'Who cares?' the president replied before taking questions about China trade negotiations and the 24-day-old partial government shutdown. 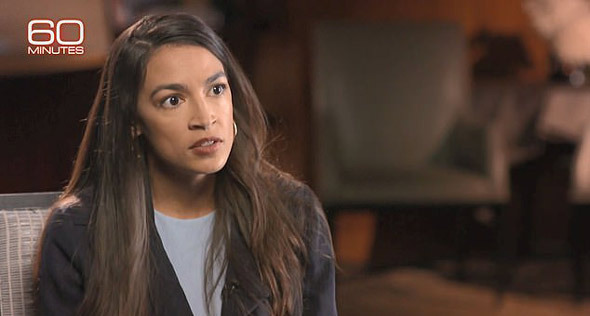 Ocasio-Cortez stated during an interview on Sunday that there's "no question" that President Donald Trump "is a racist." 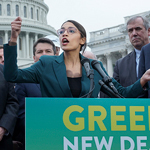 Ocasio-Cortez, the Democrat Socialist who stunned the world by winning her party primary last year against an establishment politician, was asked by Anderson Cooper during an episode of CBS' 60 Minutes whether she believed the president "is a racist?" "Yeah. Yeah. No question," Ocasio-Cortez answered. "When you look at the words that he uses, which are historic dog whistles of white supremacy," Ocasio-Cortez explains. The Socialist also attacked President Donald Trump for his support of ICE, despite voting to fund the department herself during her first few days in Congress." "The president should not be asking for more money to an agency that has systematically violated human rights," Ocasio-Cortez said this week while talking about Immigration and Customs Enforcement (ICE). 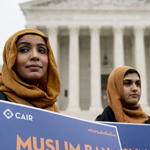 "The president should be really defending why we are funding such an agency at all because right now what we are seeing is death, right now what we are seeing is the violation of human rights." Ocasio-Cortez's comments were contradictory given the fact that she voted to fund ICE last week when she voted "aye" on a continuing resolution that supported the Department of Homeland Security (DHS), which controls ICE, according to the Daily Wire.